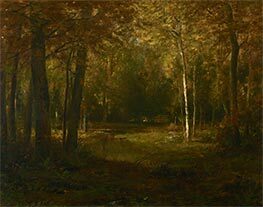 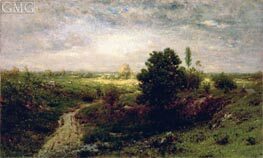 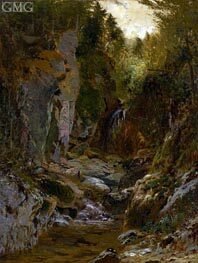 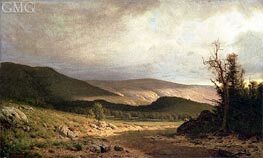 Alexander Helwig Wyant (January 11, 1836 - November 29, 1892) was an American landscape painter. 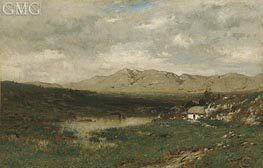 Alexander Wyant was born at Port Washington, Ohio. 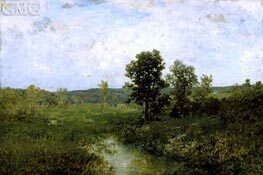 He started painting beside the Ohio River when he was in Cincinnati, Ohio. 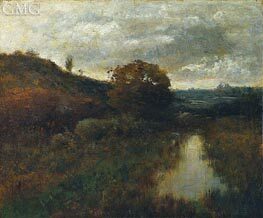 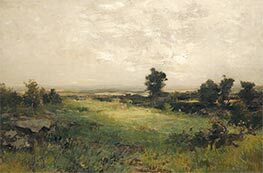 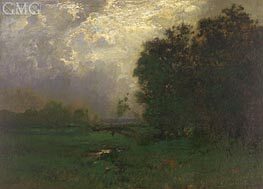 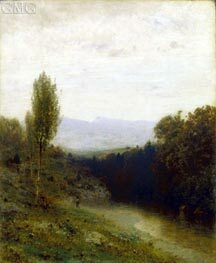 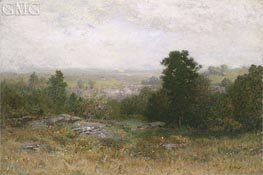 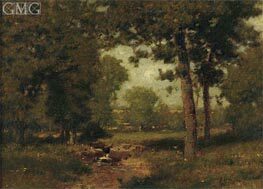 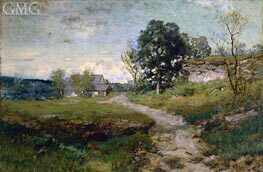 He later met George Inness in New York City where they exchanged plans about a painting career. 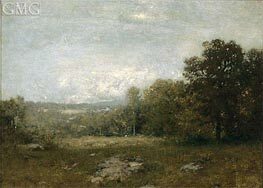 He went on a trip that started in Paris in 1860 where he saw Corot and Dupre's works before moving on to Germany. 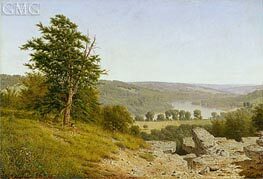 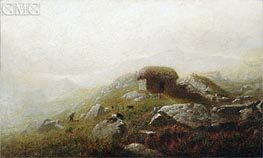 He was a pupil of Hans Gude, for three years, in Dusseldorf and Karlsruhe, Germany. 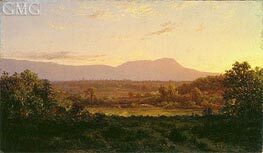 A trip with a government exploring expedition in the west of America undermined his health, and he painted mainly in the high altitudes of the Adirondack Mountains. 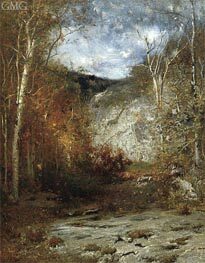 He was elected a full member of the National Academy of Design, New York, in 1869, and died in New York City. 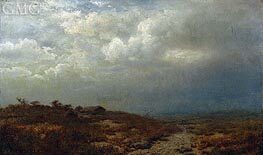 He was only moderately appreciated during his lifetime, though after his death his works were eagerly sought for.